Eastern indigo snakes are already rare. They’re listed as threatened under the Endangered Species Act. But an indigo with a deadly snake disease that is restored to health and returned to the wild? That reaches beyond rare to amazing. In March, DNR and University of Georgia staff found a sick female indigo at a south Georgia wildlife management area. One of North America’s largest native snakes, indigos as adults are big, strong and glossy black. But this snake was thin, flecked with crusting, brown scales, and too weak to try to escape. The indigo was taken to the Jekyll Island Authority’s Georgia Sea Turtle Center. Dr. Terry Norton, center director, has done extensive work with indigos. 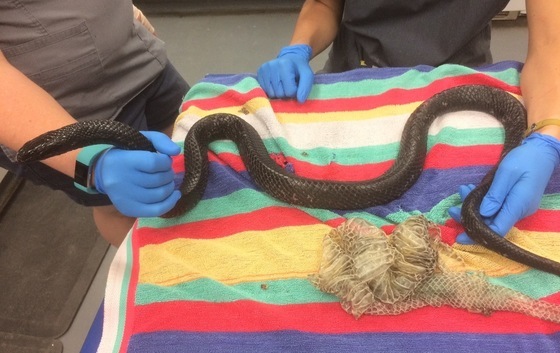 The diagnosis wasn’t a shock: snake fungal disease. Dubbed SFD, the disease is a severe dermatitis that causes scabs, crusty scales, abnormal molting and other skin inflammation. 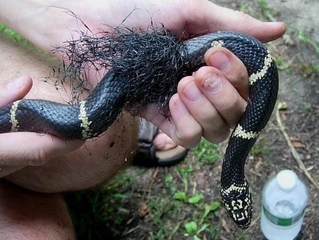 SFD was first reported in a captive black rat snake from Sparta in 2006. 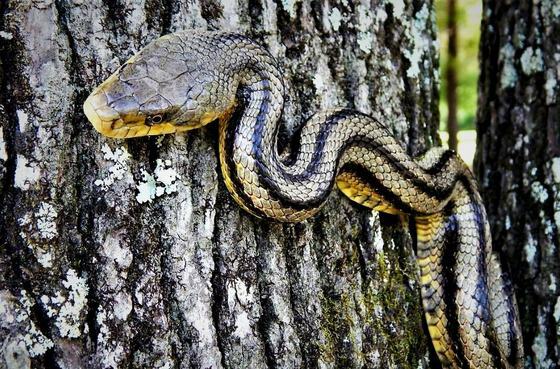 It has since been documented in more than a dozen species and a growing number of wild snakes in the eastern U.S. and Midwest, including in Georgia (“Disease reported in more snakes,” Oct. 8, 2015). The associated fungus, Ophidiomyces ophiodiicola, has been confirmed in other indigos in the state, the first dating to 2004. The jury is out on the impact of the disease, and whether SFD is spreading or simply taking advantage of snakes stressed by changes such as habitat loss. Yet for snakes, the disease is clearly a killer. And treating it is a challenge. At the Sea Turtle Center, the ailing indigo was bathed with a diluted antiseptic, swathed in antibiotic cream and misted with an antifungal drug in a process called nebulization. The latter is a new therapy developed by the University of Illinois’ Dr. Matt Allender with collaboration by the center, Norton wrote. “Each time the snake shed, there was some improvement,” Norton added. At first, the patient wouldn’t eat. Then came its first meal – a fresh, road-killed corn snake, and a welcomed sign. When the indigo had fully recovered, the Sea Turtle Center released it at the WMA where it was found. A rare snake had received a rare second chance at life. For nearly two years, The Orianne Society has been sampling indigos across south Georgia for Ophidiomyces ophiodiicola, the fungus associated with SFD. The federally funded project is documenting the prevalence of the disease in indigos. Snakes native to the southeastern U.S., and even the rest of the world, often look much different than other individuals of the same species. 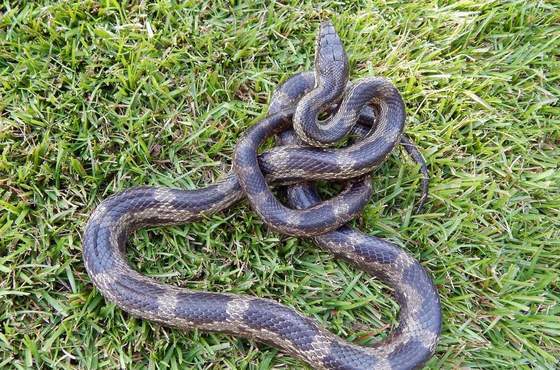 For example, around my yard in southeastern Georgia, I have found adult eastern rat snakes with bodies colored from bright yellow to tan and olive green. While nearly all had dark blotches connected by dark stripes down the length of their backs, one snake had only stripes – no blotches. 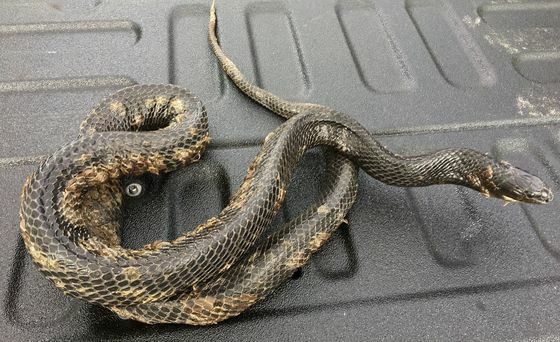 A few miles away yet still in Bulloch County, I came across an adult eastern rat snake that was dull gray and patterned with blotches but no stripes. And less than 50 miles to the north of my yard, I’ve seen adult eastern rat snakes that were solid black. Read Matt’s article on the diverse coloration and patterns of some native snakes, plus his advice for sorting out any species you see. Snakes are one of the most maligned animals. But they fill vital roles in nature. DNR’s Wildlife Conservation Section conserves native wildlife not fished for or hunted, rare plants and natural habitats, from indigo snakes to swallow-tailed kites and longleaf pine savannas. Yet the agency depends primarily on fundraisers, grants and contributions. The bottom line: Public support is critical. Buy or renew a DNR eagle or hummingbird license plate. Most of the fees are dedicated to wildlife. Upgrade to a wild tag for only $25! Donate at www.gooutdoorsgeorgia.com. Click “Licenses and Permits” and log in to give. (New customers can create an account.) There’s even an option to round-up for wildlife. Contribute directly to the agency. Details here. See how your support helps keep Georgi wild. With everything from deer to rabbits nibbling on your vegetable garden and fruit trees, plastic netting can seem a one-size-fits-all answer. What most call garden or bird netting is cheap, easy to use and relatively effective. But it also has a tragic downside: Bird netting also can be a death-trap for snakes. Depending on the size of the mesh openings, snakes large and small can become entangled as they try to squeeze through. Their scales can snag when they back out. Thrashing only makes it worse. Caught, often constricted and cut, and exposed to the sun, entangled snakes usually face a slow death. The irony is that something used to protect gardens endangers some of the key predators that eat garden pests. 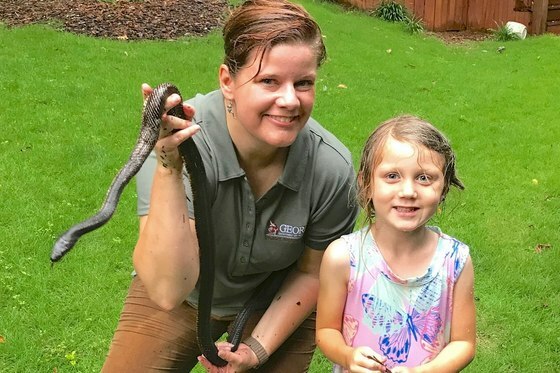 Last month, DNR’s Linda May had just finished a frog program at the Milton Library when she heard about an Alpharetta couple with two snakes caught in garden netting draped around blueberries. May, environmental outreach coordinator for the Wildlife Conservation Section, stopped by and – in pouring rain – cut away the mesh. Both rat snakes, weak but alive, were released nearby. The homeowners didn’t know about the problems with netting and promised to remove the rest. How often these scenarios are repeated – with or without a rescue – isn’t known. Soon after freeing the two rat snakes, May heard of two other incidents. They also noted that industrial plastic netting is sometimes used in erosion and sediment control along roads and developments. And when the mesh breaks down, plastic fragments remain. Netting can even catch and kill other animals, including songbirds. Use an alternative. Options include old lace curtains and other forms of shade cloth. Still need your netting? Check it daily for critters. Consider lining the bottom with boards to deter snakes. Also, have an expert identify any snake snared before trying to free it. When you store or dispose of plastic netting, use a sealed container or bag. If the netting is polyethylene, check with your local recycling center to see if they’ll recycle it. Last, learn more about the issue. For example, this report explores wildlife-friendly options for erosion and sediment control. With temperatures soaring into the 90s and heat indexes topping 100, it seems as if everyone is talking about the weather and trying to cope with it – from spending more time indoors to taking more trips to their favorite pool or swimming hole. 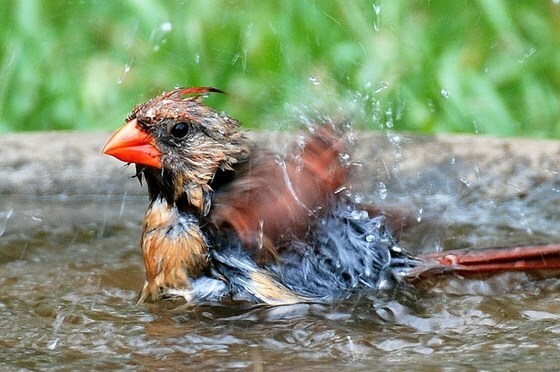 Read Terry’s column about the ways birds keep their cool, and how you can help. What’s in a name? Plenty for DNR’s Wildlife Conservation Section, called Nongame Conservation before July 1. The change from “Nongame” to “Wildlife” more clearly communicates the agency's focus on native animals not hunted for fished for, plants and natural habitats (nongame is a word few understand). 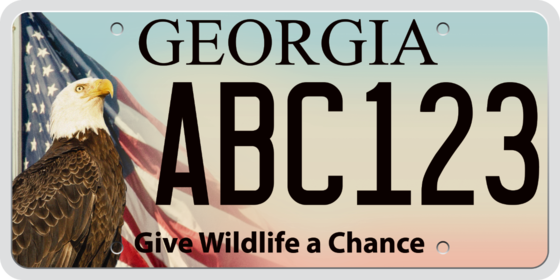 The mission of this Wildlife Resources Division section did not change, and, per Georgia law, wildlife can encompass animals and plants. Your thoughts on the new name? 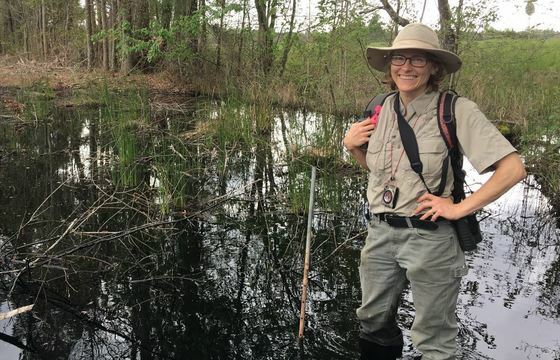 More than 250 striped newts raised by The Amphibian Foundation were recently released into monitored wetlands in Florida’s Apalachicola National Forest (watch), part of a collective effort to conserve the candidate species for federal listing. 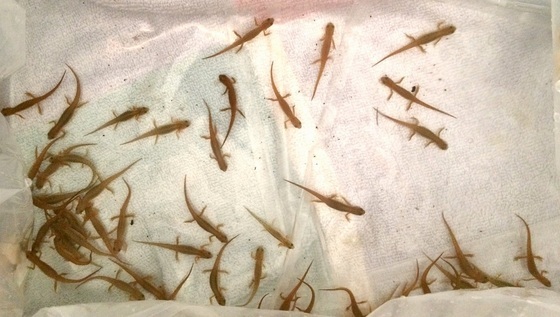 The newts, the Atlanta nonprofit’s first captive-bred amphibians, were raised from salamanders collected at Sandhills Wildlife Management Area near Butler. Environmental DNA technology is steering the search for blackbanded sunfish in Georgia and South Carolina. A State Wildlife Grants project focused on this priority species in each state’s Wildlife Action Plans revealed “positive” sites for the small, elusive fish found only in Coastal Plain creeks and swamps. The Milkweed Initiative is growing. A DNR-led workshop at Altama Plantation Wildlife Management Area in Glynn County helped map out the collaborative effort to increase the availability of three native milkweed species that serve as host plants for monarch butterflies, another candidate for federal listing. One benefit of prescribed fire is how it makes fire-adapted woodlands more resilient. 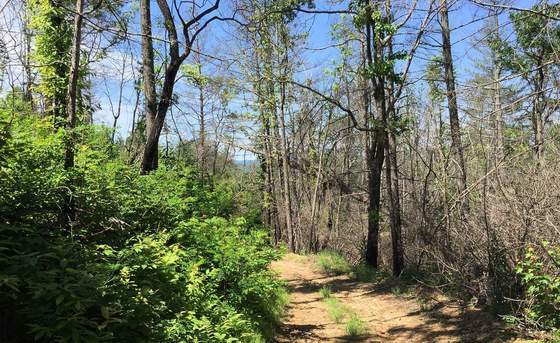 A photo taken this spring by DNR senior wildlife biologist Nathan Klaus shows the difference at Rabun County’s Chestnut Mountain, which was scorched by the Rocky Mountain wildfire two years ago. On the left, an area the U.S. Forest Service and DNR have burned for years to foster early succession habitat greened up fast, while the area on the right, which had not been burned for decades before the wildfire, struggled to recover. The Interagency Burn Team, which includes DNR, helped The Nature Conservancy burn three units in one day at Broxton Rocks Preserve in Coffee County. The Orianne Society, another member, called the effort a “testament to the strength of the (team) taking full advantage of a great burn day.” Photos. Co-sponsors of the Recovering America’s Wildlife Act include three Georgia congressmen: Reps. Buddy Carter (R-Pooler), Hank Johnson (D-Lithonia) and Austin Scott (R-Tifton). Without adding taxes or fees, House Resolution 4647 would redirect an estimated $1.3 billion needed to conserve some 12,000 animal and plant species rated as conservation priorities in states’ wildlife action plans. 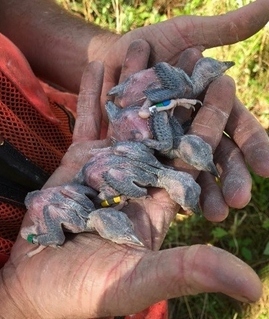 These red-cockaded woodpecker nestlings held by DNR’s Zach Henshaw were the first banded this year. The quadruplets hatched at Silver Lake Wildlife Management Area near Bainbridge, the first – but now not the only – state-owned land with the endangered birds. During the annual Teacher Conservation Workshop based at Charlie Elliott Wildlife Center, 17 teachers explored forestry and natural resources in Georgia and how these resources are being managed. The group toured places including Piedmont National Wildlife Refuge, the Georgia Forestry Commission nursery, an International Paper pulp mill, the Go Fish Education Center and a Weyerhaeuser logging site. Names in the news: The U.S. Fish and Wildlife Service recently recognized DNR Wildlife Conservation Section botanist Lisa Kruse as a 2017 Recovery Champion for the Southeast Region. The agency cited Kruse for her leadership in working to restore and conserve endangered Canby’s dropwort (“Protecting rare wetlands, plants," Dec. 8). Dallas R. Ingram, a seven-year veteran of DNR’s Bobwhite Quail Initiative, has been named the state’s quail biologist. Ingram “has proven to be a great resource for both landowners and professionals,” said Private Lands Program Manager Dr. Jessica McGuire of the agency’s Game Management Section. 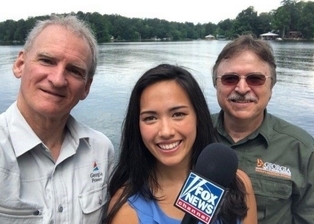 (+video) "Bald eagle making comeback across country," FOX News (photo at right). Also: New York Post. Via AP: WCWJ/WJXT-TV (Jacksonville, Fla.) and others. "Natural Georgia: on the lookout for little scavengers in vulture nests," Savannah Morning News. Also: "Discover the wilds of Big Hammock"
This issue's snake theme continues with more unique sights. The images above show snakes as prey and predator. During the DNR Camp TALON trip to Sapelo Island this summer, Duluth teen John Deitsch photographed this great blue heron after it snagged a banded watersnake to eat. 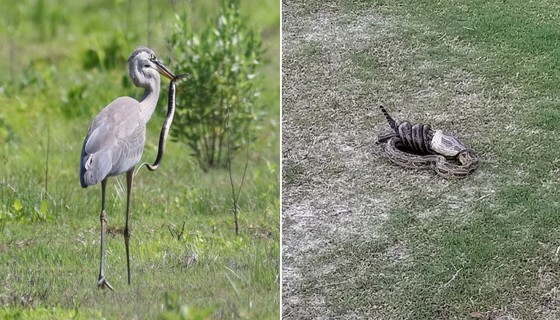 In the turnabout at top right, a photo submitted by the public shows a rat snake swallowing a juvenile Mississippi kite on a St. Simons Island golf course. It’s not known if the kite was hurt and easy prey, or if it simply picked on a snake too big for the bird. Both photos below picture a rough green snake. It's just that the one on the left is dead. DNR senior wildlife biologist John Jensen explains that when rough green snakes die, the yellow pigment in their bodies degrades faster than the blue, turning them bright blue. 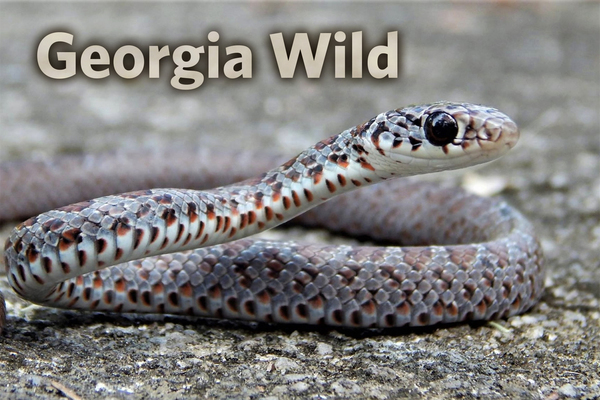 Dead ones in Georgia have been mistaken for blue racers, a species not native to the state.